Every region in the world has unique diseases and if you are not from that part of the planet or if you have not spent any significant time there, then your immune system will not have the means to protect you from these health conditions. However, there is a way to safe guard yourself on your trips and that is through our immunization services. St. Mary Pharmacy is superb pharmacy in Palm Harbor that has some of the best immunization services available. Here is why you should get vaccinated before traveling. If you do not want to fall ill on your trip, then it is important to consider our immunization services. We are able to protect you from a number of illnesses that range from common diseases to rare health conditions. Depending on the part of the world you are traveling to, we can personalize our vaccination to meet your needs. Getting sick on a trip can be a huge hassle. You will not be able to enjoy the trip and it can turn the entire experience into a miserable journey. After all, you spent good money on this trip, so the last thing that you want to do is spend all of your time in bed at your hotel. Getting sick in another country, especially if you do not have any insurance can cost you a fortune. By making sure you are receiving the immunization services you need, you can avoid this kind of situation because the last thing you will want to be doing is spending all of your money on medical bills when you are supposed to be having fun. If you want to maintain your health no matter where you are in the world, then you definitely cannot go wrong with our travel immunization services. If you want to find out more about these handy services and what they can do for you, please do not hesitate to check out our pharmacy’s website www.stmarypharmacyrx.com today. 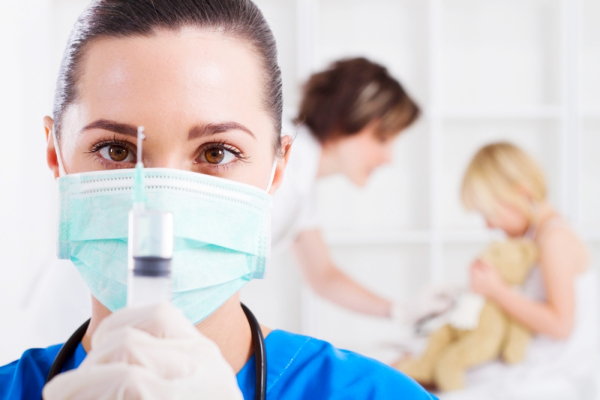 Our immunization services also include flu prevention and other preventive measures to against most common illnesses. This entry was posted in Immunization and tagged compounding pharmacy, expectations from a pharmacy, Immunization, pharmaceutical, pharmacy, Pharmacy care. Bookmark the permalink. Senior Care"We Dare to Care Program"